Longterm Blue Masking Tape. Size: 25mm x 50mtr. 14-day clean removal meaning its ideal for leaving on your hull whilst antifouling over a long period - the tape will not stick hard like economy masking tapes. Sold individually. 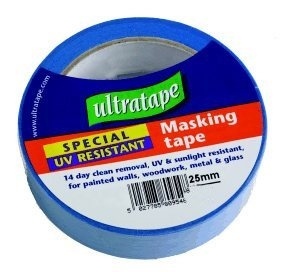 Excellent masking tape,easy to apply and remove,no creeping underneath. Came as a freebie with anti-fouling. Tough stuff, easy to apply, tenacious, and the edges don't bleed.